I had a ton of candles. I loved the scents. I would buy them, burn them, and live with all of those candle byproducts. Soot, smoke, and the danger. I was very paranoid about my cats knocking them over, causing a house fire. Not to mention them hurting themselves or getting hot wax on their fur and skin. Then, a friend of mine had a Scentsy party. I would never have imagined what happened next. At the party I was overwhelmed with all of the products available. I didn’t know where to look or what to choose. I did like the warmers and the scents, though, so I bought a warmer and three Scentsy Bars and brought them home. I set up my new warmer and was amazed by how quickly the fragrance filled the room. And, later, I was happy about how long the wax lasted. Compared to candles, Scentsy was clearly a better product. So I decided to do a little research. What I found out really surprised me. Dr. Ruhullah Massoudi, a chemistry professor at South Carolina State University, led a study in 2009 to determine if scented candles were dangerous for everyday use. 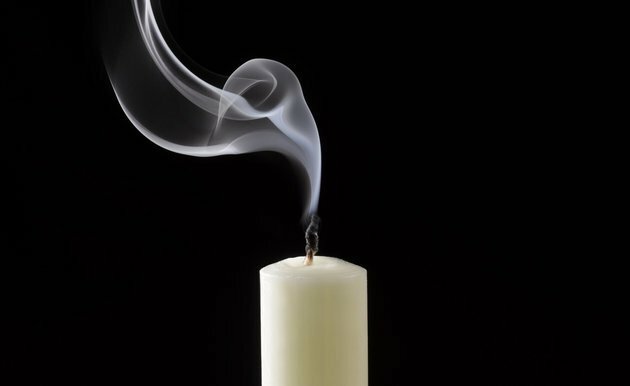 A 2001 study by the EPA shows that candles with more fragrance in them produce more soot than other candles. Only burn one candle at a time. Make sure your wick is trimmed each time you light your candle. Do not burn any candle for more than three or four hours at a time. Use a cover or lid, or store new or cooled candles in airtight containers to keep them free of dust and other airborne particles. Only buy good quality candles made in North America, Central Europe, or Australia. Cheap, poor quality candles could potentially have lead wicks, low quality wax, and synthetic colors and fragrances. And then I read another candle tip in an article: Try using a candle warmer rather than lighting a wick. I knew I was on the right track and I wanted to know more about Scentsy. So I kept searching, and I learned a lot about the company and its products. When using natural oils results in unrestrained use of limited or endangered natural resources. When it isn’t possible to derive the natural oils from nature. For example, synthetic oil is necessary to reproduce lily of the valley because fragrance cannot be extracted from this flower through typical extraction methods. When it is cost prohibitive to acquire natural oils and would preclude Scentsy from offering particular fragrances without increasing the price for customers. As for the wax, Scentsy uses a custom, high-quality paraffin wax blend, designed for long-lasting fragrance, and selected for its scent loading ability, melting point, and firmness. Scentsy Bars are safer than wicked candles because no flame is required for the wax to melt and release fragrance. Since the wax is warmed and not burned as with traditional candles, no harmful chemicals or pollutants are released into the air. With Scentsy, there is no flame, smoke, soot, or lead. Knowing all of that made me confident in my decision, and I’ve been warming Scentsy wax ever since. The best part about switching from candles to Scentsy? Never having that blown-out candle smell that takes away all of the scent! If you are interested in trying or buying Scentsy products, please feel free to contact me, or go ahead and shop for Scentsy in my store and it will be delivered to your door.